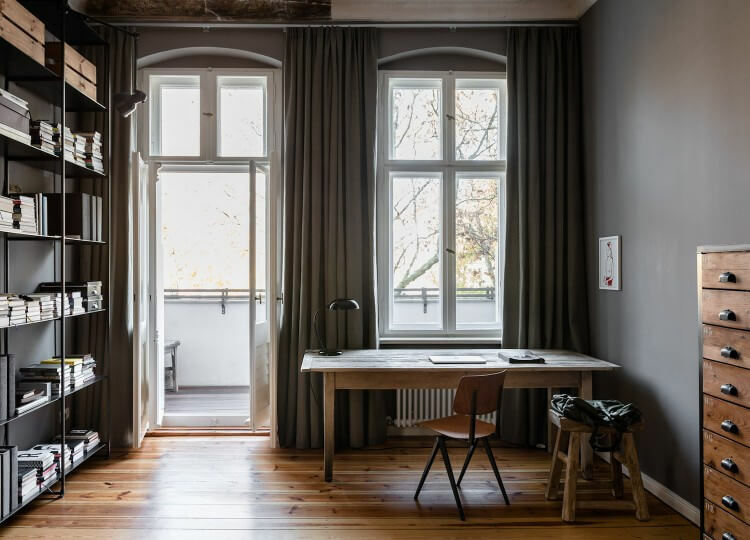 There are a handful of interior designers in this world that seem to be immune from ever putting a foot wrong, and one of them is Annabell Kutucu. 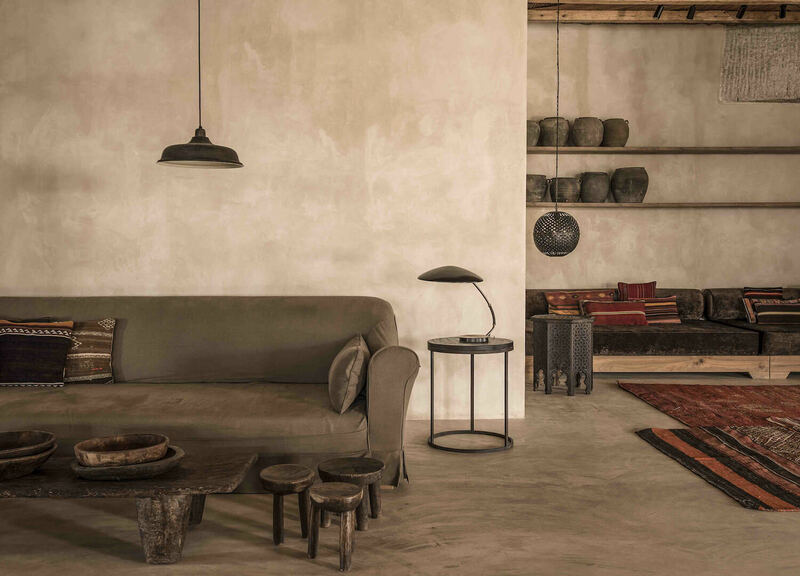 She is the mastermind behind some of our favourite residential and commercial projects, such as this minimalist apartment for the stylish nomad and the earthy but luxe boutique hotel, Casa Cook. 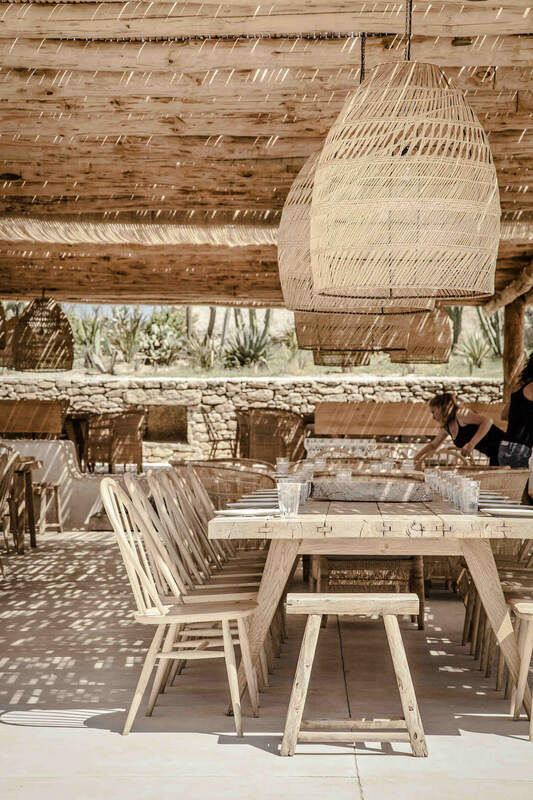 She’s made magic with spaces all over the world from Germany to Mexico, but her latest project, Scorpios Mykonos, puts the Greek island of Mykonos front and centre, turning the party town stereotype on its head. 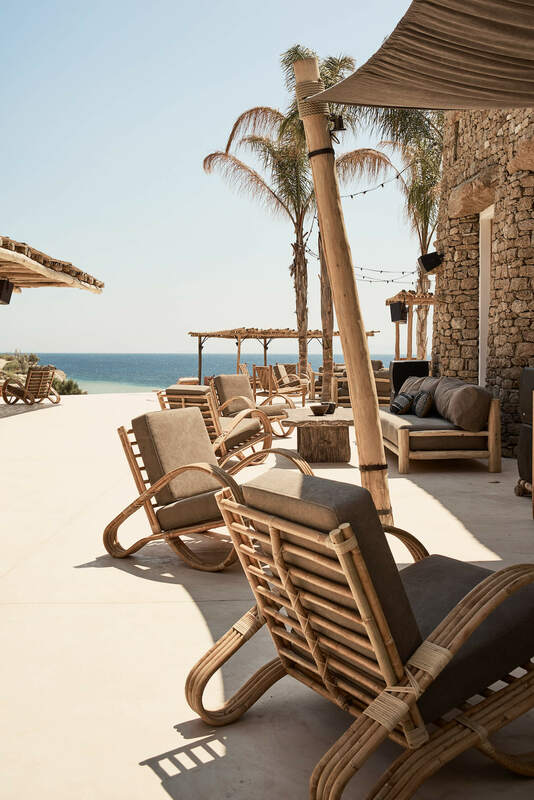 In Scorpios Mykonos you won’t find a club or a raging beach bar. Instead, you’ll find at its most simple a gathering place, and at its most complex a chameleon of a space built for the modern soul-seeker. 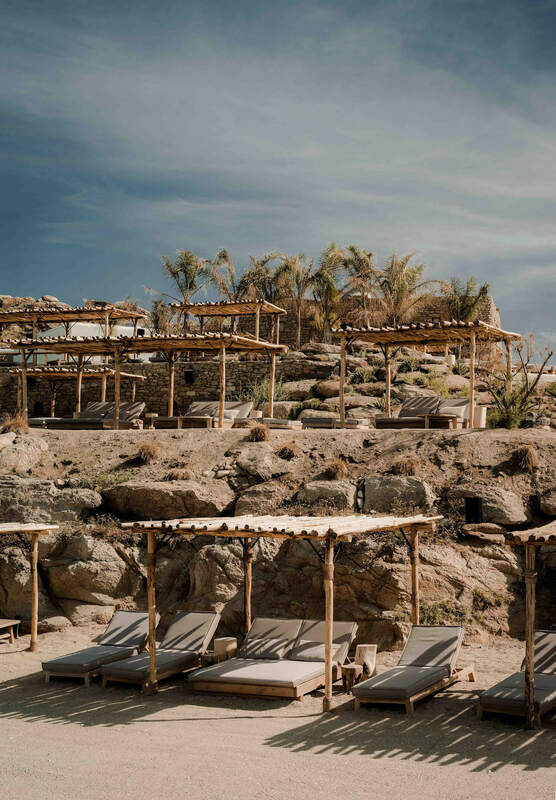 In Ancient Greece a place like this was called an agora, and Scorpios Mykonos is, in essence, its modern-day iteration. 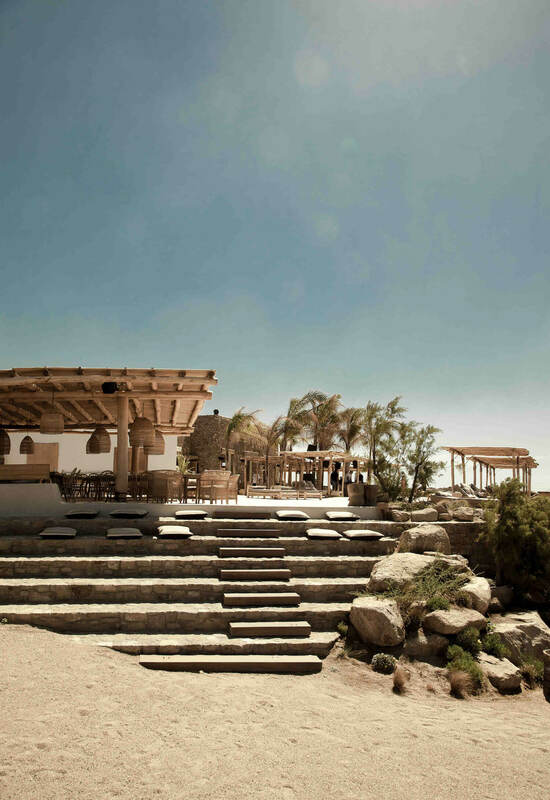 Just as thousands of years ago the agoras were public spaces for people to meet, and served as the geographical centre of artistic and spiritual life, Scorpios Mykonos was built to bring together the creative and social life of the community. 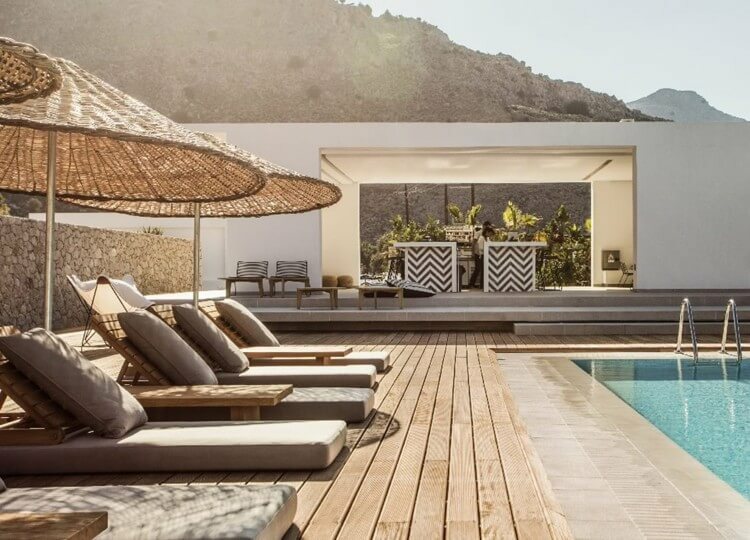 The multi-faceted space, which comes to life on the sun-soaked southern tip of Mykonos, has an open-air house, a ‘bazaar’, a Mediterranean restaurant, and multiple open-air terraces, just to start. And then there’s the beach. 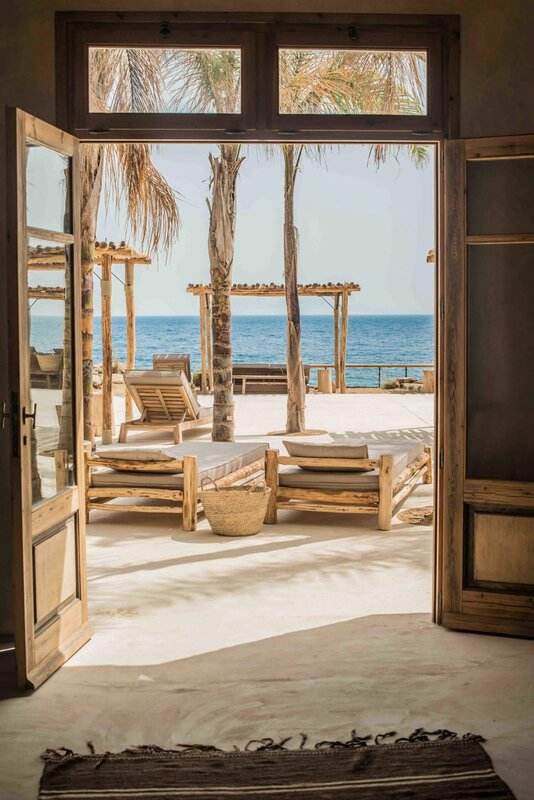 Scorpios Beach is one of the island’s most exclusive sandy havens, and you’ll find plenty of wooden cabanas and sunbeds scattered here for relaxing with a book, cocktail, or simply your own blissed-out self. Whatever your mood, Scorpios has something to satisfy it. It even boasts custom-built stages for its unique daily music Sunset Rituals that take place every day with the intention of raising awareness, connecting people, inspiring change and promoting mindfulness among its visitors. 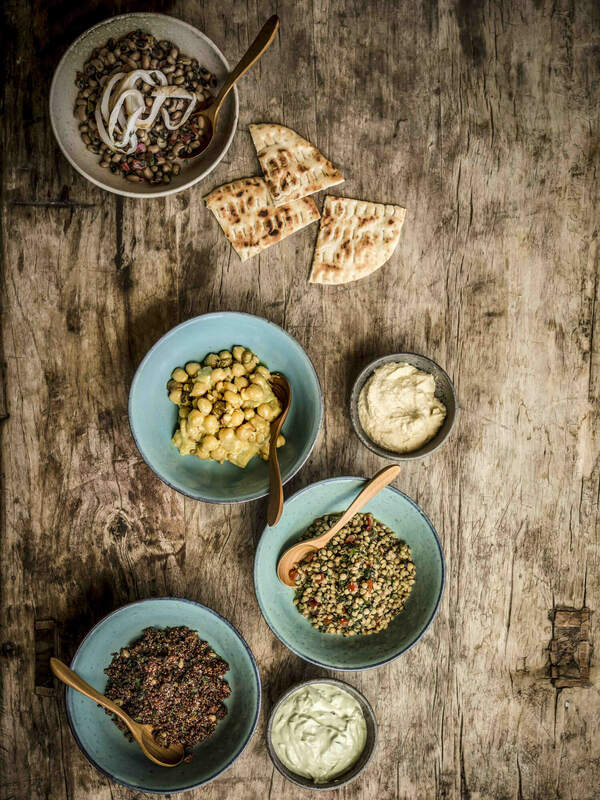 Scorpios is a celebration of both Greek culture and traditional craftsmanship, and this is the ethos behind both the hospitality and design of the project. 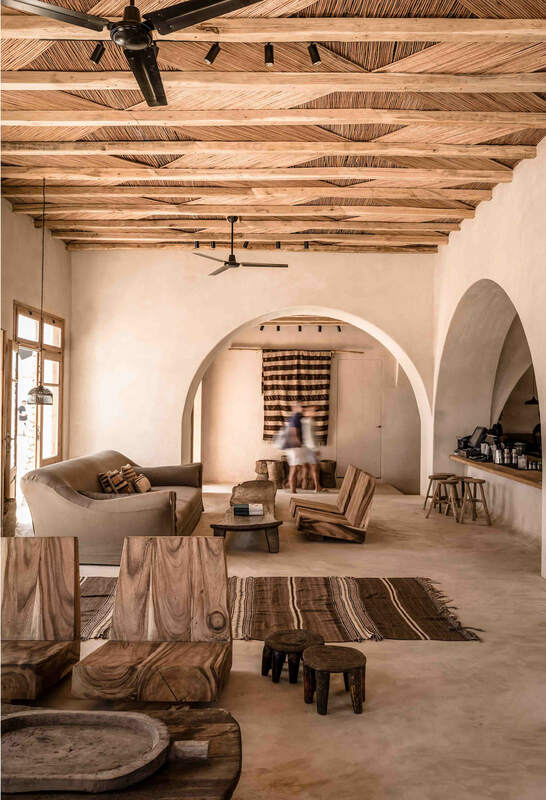 One minute the venue is a quiet retreat for silence and stillness in nature, and the next a mecca for mingling, and this shape-shifting quality has been expertly conveyed through Kutucu’s design. 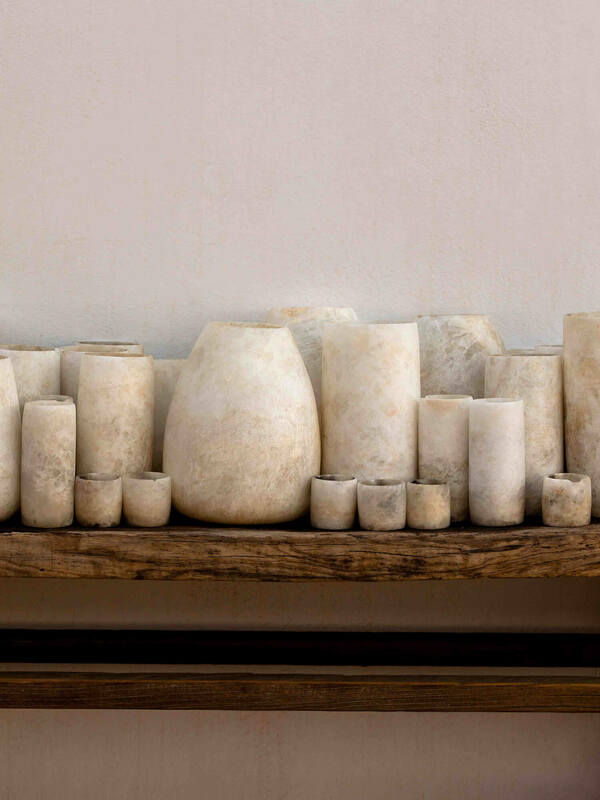 Here, it’s all about the natural environment, and every structure at Scorpios Mykonos has been designed to be in communion with its surroundings. It blends comfortably into its hillside spot, simply owning its stripped-back beauty. 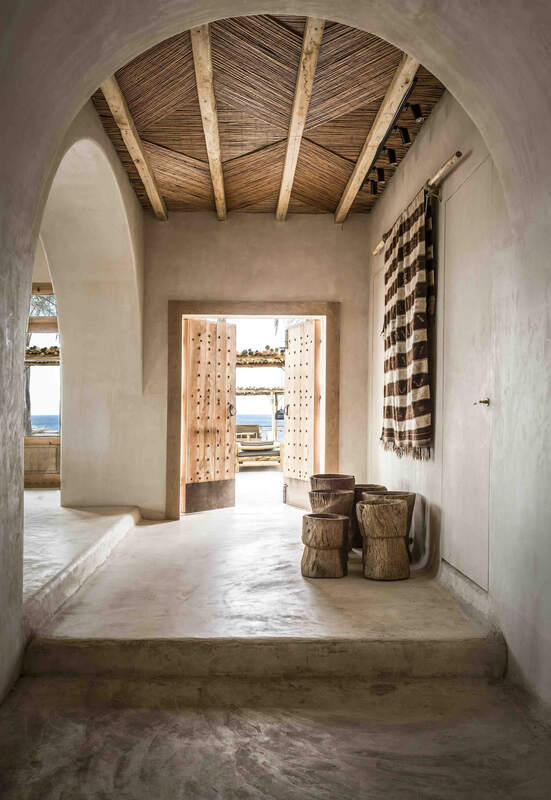 The unequivocal centre of the 6000 square-metre beach agora is the stone house with its white washed, stone-accented exterior. 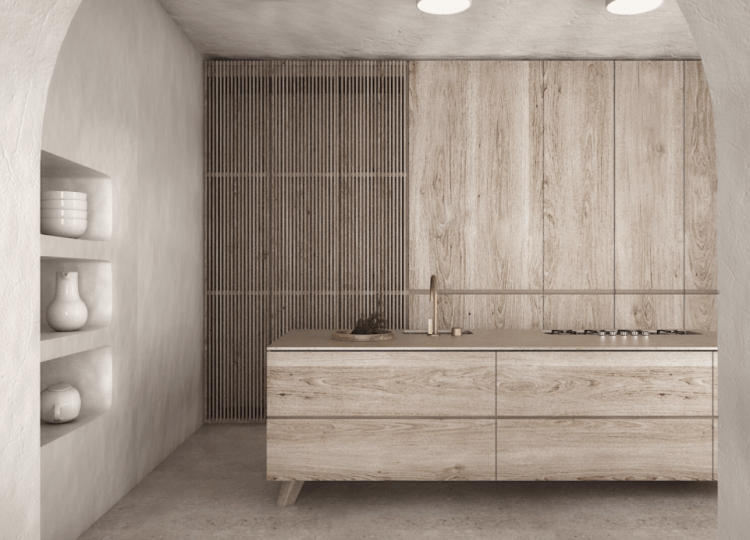 Around it, the colour palette is one that perfectly mimics nature with its neutral hues and soft browns. 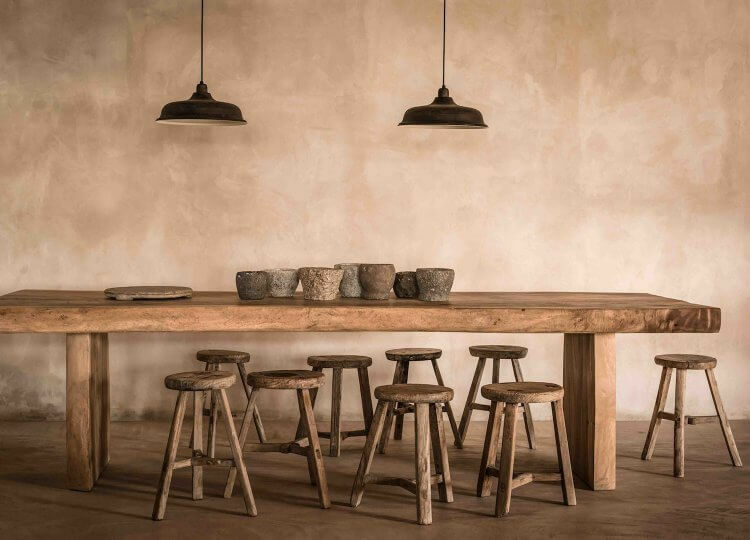 Everything gives off an air of being handmade, and if ever there was a time to use the word ‘organic’ it would be when describing Scorpios’ abundance of textured natural materials. 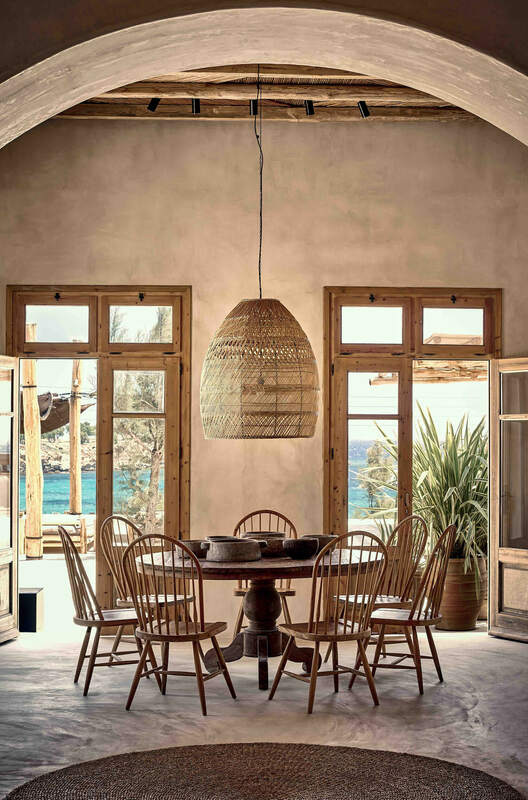 Wood, rattan, hemp, cotton and stone create a space that is laid back and warm, with an aesthetic style firmly set in contemporary minimalism. 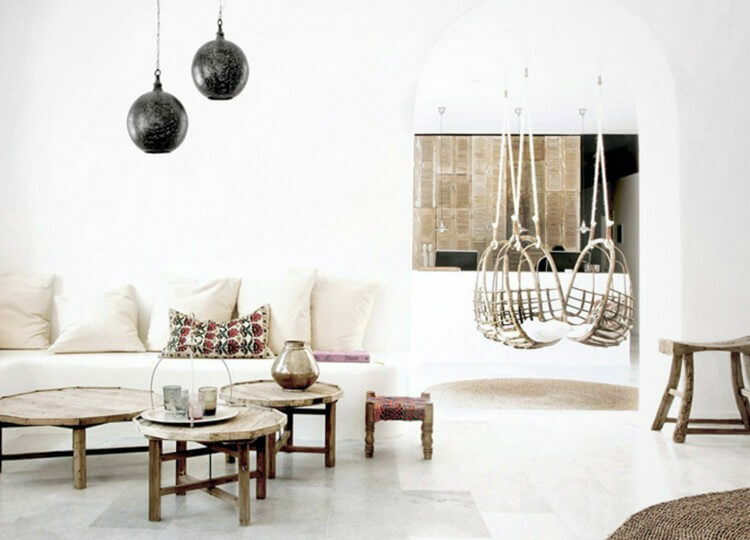 Nothing is trying too hard at Scorpios Mykonos, and that, of course, is precisely the point. Scorpios can be whatever you want it to be. With its uninterrupted vista of that quintessential Greek Island blue water, it is a respite in Mykonos quite unlike any other. 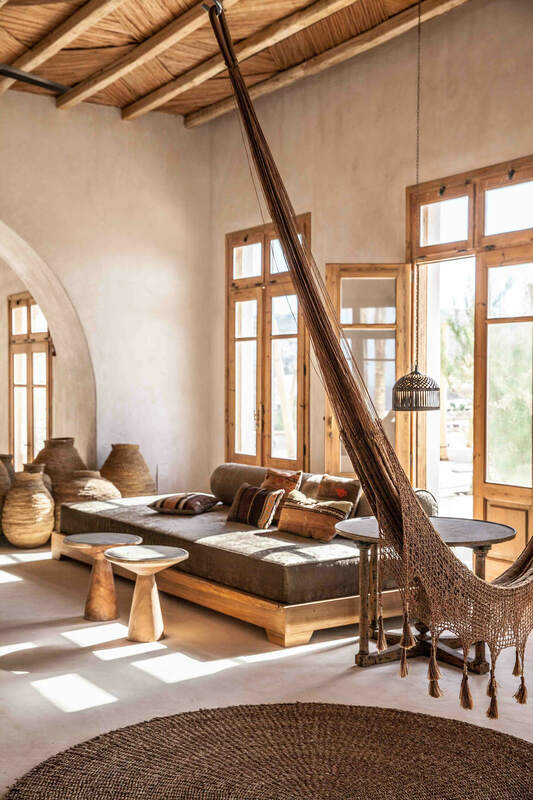 It is a place where connection and community are at its very core, and this new-age agora has its arms wide open, beckoning you to discover its bohemian brilliance, if you’ll only let it.